M 32 (NGC 221). 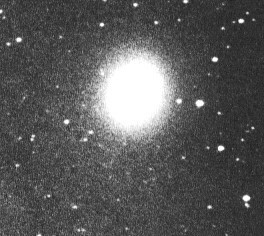 Elliptical Galaxy in Andromeda. A Satellite of the Andromeda Galaxy, M31. RA=00 42.7, Dec=+40 52. 8.1 mag, dist=2900 kly.